Soak up the heritage, history and transformation of 5 cities in the North of England. 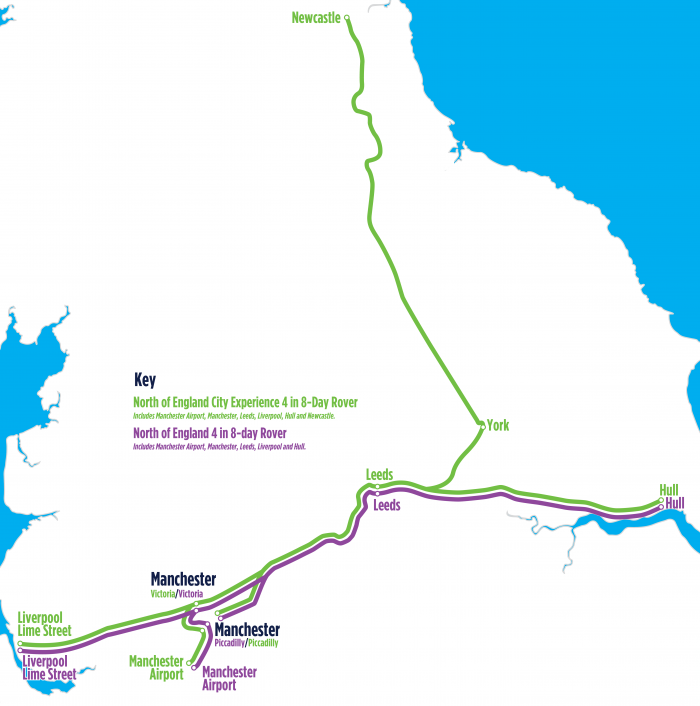 The new North of England City Experience enables visitors to soak up the heritage, history, regeneration and transformation of 5 cities in the North of England: Hull, Leeds, Manchester, Liverpool, & NewcastleGateshead. Centred on the development of one easy-to-buy rail ticket, which enables 4 days travel between the cities over an 8 day period, visitors no longer need choose between the vibrant culture of NewcastleGateshead, the fantastic shopping in Leeds, the music scene in Liverpool, Hull’s museums or Manchester’s redeveloped Quays – but can enjoy these and many more cultural highlights across these fantastic cities. Cities of Northern England has created a directory of bookable products, which can be downloaded from the links below. This directory contains information to help you contract the products from these cities into your programmes. These products are to be sold in conjunction with the project’s new Transpennine Express North of England City Experience 4 in 8 day Rail Rover Ticket. In the first instance please contact Martine Ainsworth-Wells for more information. If you have an attraction, experience, tour or accommodation in one of the featured cities and would like to get involved, then please contact Martine Ainsworth-Wells.